Chronic diseases affect 6 in 10 adults in the US. 4 in 10 have two or more. SOPHE provides policy makers and health officials with timely, science-based information that addresses chronic disease risks and strategies. 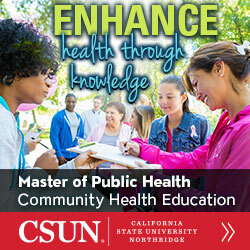 SOPHE works with policy leaders to increase their knowledge about chronic disease risks and health inequities. SOPHE is committed to supporting healthy communities by reducing chronic disease through policy, systems and environmental change. To prevent chronic disease, the Centers for Disease Control and Prevention funded a national partnership of leading organizations working to improve the public’s health at the community level — National Implementation and Dissemination of Chronic Disease Prevention. SOPHE is one of five partners in this Partnering4Health effort to prevent and control chronic diseases, like diabetes and heart disease, through population-based strategies at the community level. We need decision-makers who are well informed on the impact that chronic diseases have on our nation’s economy — who can use their position to support disease prevention and address health care issues. Chronic diseases are responsible for 7 out of 10 deaths each year in the United States. Treating people with chronic diseases accounts for 86% of our nation’s healthcare costs. Although chronic diseases are among the most common and costly health problems, they are also among the most preventable. Most chronic diseases can be effectively controlled and managed. With the development of an easy-to-use resource guide to assist communities in building a coalition, SOPHE is on-the ground in communities across the country. SOPHE has created this packet to help spread the word about healthy eating by promoting National Nutrition Month® among community members, leaders, and other stakeholders. For agencies and organizations working with Hispanic audiences, this packet includes some additional information.